Home » Blog » What’s the New Eyebrow Trend Style Today? Fashion and beauty are constantly evolving for every individual. The artistic minds of the people create a value and interesting discovery for apparels and cosmetics industries. In particular, women are the most innovative people when it comes to avant-garde attires and makeup. When it comes to makeup, women love to play with brushes, lipsticks, eyeliners, eyeshadows, and blush-on. They frequently contour their eyebrows into a fascinating angle. Eyebrows denote emotions, uniqueness, and personality of an individual. By keeping your eyebrows in good shape, it makes you look more confident, stunning, and gorgeous. In today’s beauty matters, a new eyebrow trend is introduced to women. There’s no need to pluck excess hairs, and use an eyebrow pencil to fix the shape. There’s no need to tolerate the tattoo eyebrow sessions and permanently remove the hair. As the question of many, what’s the new eyebrow trend style today? This eyebrow treatment is performed using a manual hand tool method. The aesthetician will implant the pigment solution underneath the skin and draw natural hair-like strokes to mimic the eyebrow hairs. Nothing to worry about this procedure because it’s less painful than the tattoo. Generally, the aesthetician will use an anesthesia and rub it over the eyebrows to reduce the aching effect of this treatment. 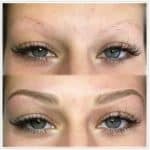 Related article: Microblading Does It Hurt? As to appearance, it really resembles natural eyebrows and it complements with the skin. Unlike in tattoo, there’s a tendency to thicken and darken the eyebrow making it look fierce and artificial. Moreover, this microblading treatment lasts for about 18 to 24 months. It is affordable and it makes you look comfortable to your eyebrows. Moreover, it has several advantages and even celebrities choose this treatment like Lena Dunham. Based on the article of Vogue magazine, she experienced a disappointment on her eyebrows due to excessive makeup and plucking. But thanks to this treatment, it had helped her save her eyebrows. What Makes the Microblading Trendy Nowadays? Just imagine how much you spent for buying eyebrow pencils in a year? Let’s just say, you opt for a tattoo for a permanent look. Regardless which alternative you had chosen, it may not provide you the 100% satisfaction. In microblading, it makes your eyebrows look fuller and thicker without the need to reapply eyebrow pencils. It portrays the fine and delicate look of your eyebrows which makes you look fashionably perfect. Weighing these three alternatives will give you an idea which option that suits you best. 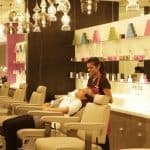 First of all, it is proven safe since the salon aesthetician will give you a skin test first to know any signs of irritation, redness, or stinginess. The microblading procedure is provided only by registered salons and dermatological centers. An expert is assigned to perform the procedure with vast experience in this field. 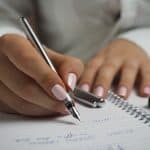 Technically, all of the pros and cons of the treatment will be first discuss to you in order to educate you about the procedure. Furthermore, it is less painful because the aestheticians are using solutions with irritation-free formula and apply anesthesia to remedy the aching feeling. Every woman deserves to have their best look and facial features. However, they don’t need to retouch and apply makeup as often as possible especially when in a hurry. What’s the best option to have a quick makeup? Try a practical eyebrow treatment namely the microblading.